… And where men can urinate anywhere on the streets like dogs! Where I live there are no helmet laws, but you can be arrested for public urnination! Gross! 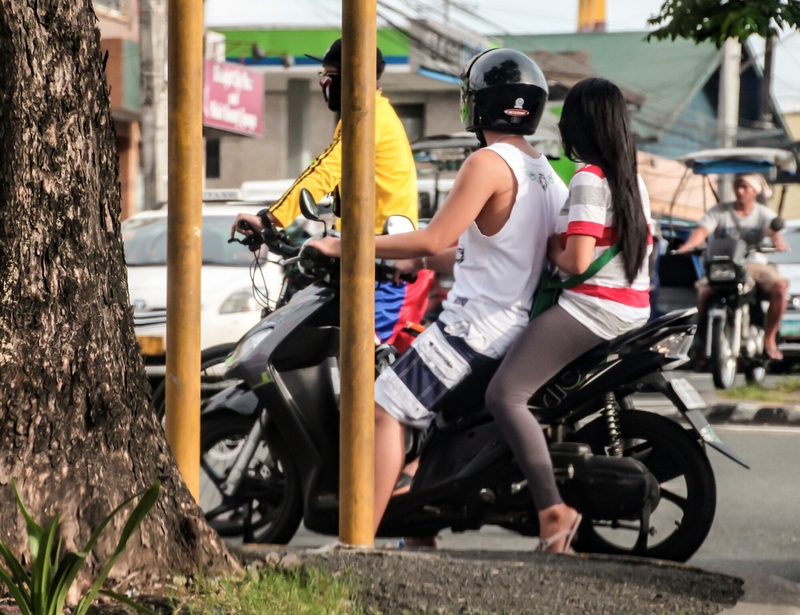 Here in manila too… It is unlawful to urinate in the public. In fact, there is a urinal about a fee meters away from him. He should have used it. If the guy peeing saw you, I bet he’d chase you down like a dog! Public peeing is not illegal? It’s illegal to pee in public and has a fine of about $25. He wouldn’t chase me and would even say sorry… Hehehe! That is why Manila smells like a urinal? There are urinals in selected spots of the city and urinating in public is illegal… What this guy is doing is definitely wrong. There is a urinal just a few meters away from him. LOL 😛 I hope the man peeing finds his picture. He will never ever dare to pee in public then. But the person peeing will immediately recognize himself 😛 The side features are evident and the clothes.